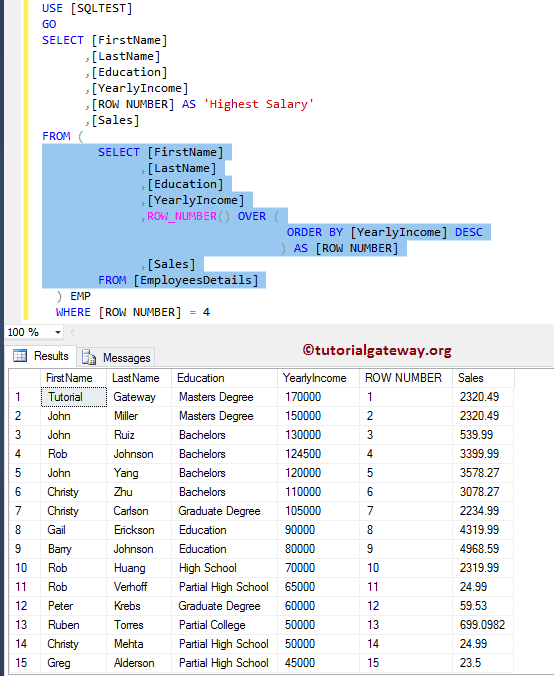 Write a SQL Query to find Nth highest salary, 2nd highest salary, or third highest salary is the most common SQL Interview Question. 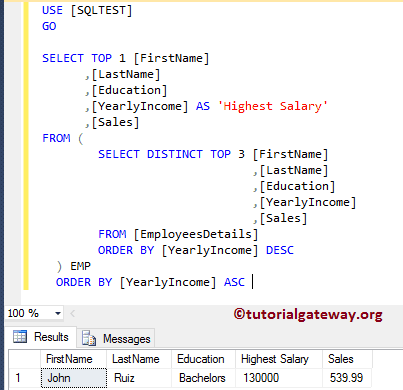 In this article we will show you the best possible way to write SQL Server query to find nth highest salary with example. 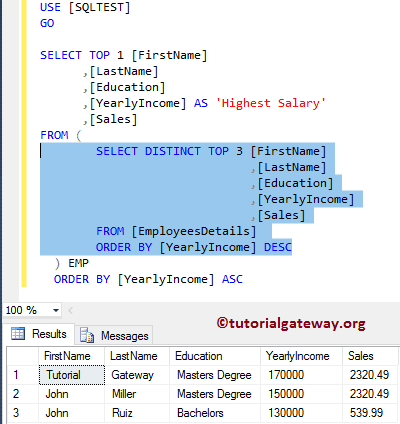 In this example we are going to use the Derived Table concept to find the third highest salary. 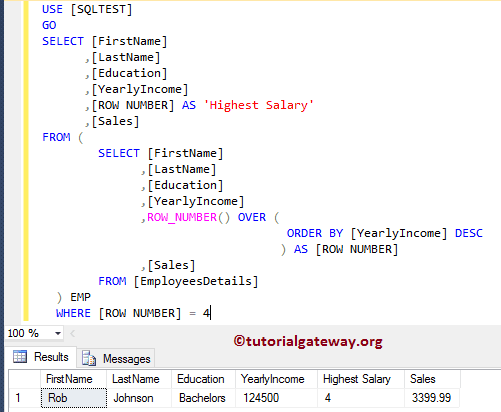 And the Top query is returning the first record order by Ascending order. In this example we are going to use the ROW NUMBER concept to find the fourth highest salary. 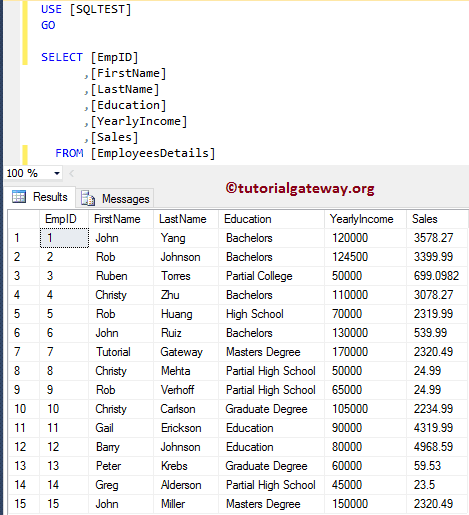 You can also use any Rank Function such as: Rank, Dense Rank, Ntile to get the same result. 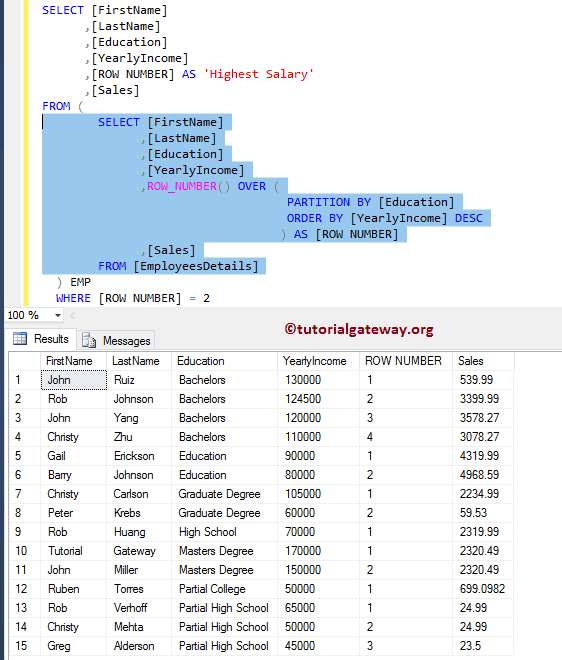 We are selecting the required rank from that inner query. If you want 2nd highest then replace 4 with 2 in where clause. You can also use CTE to get the same result. In this example we are going to find the second highest salary in each group. 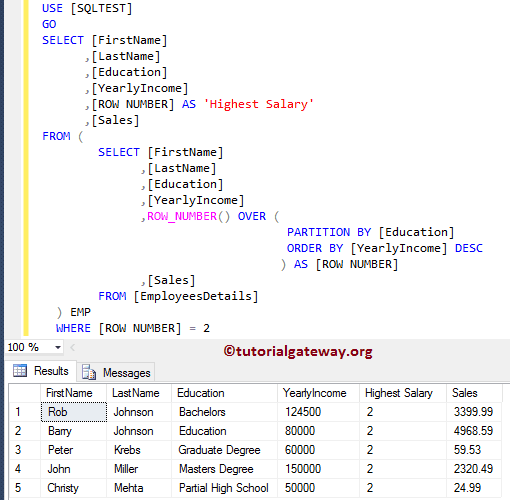 This is the same query that we used in our previous example but we added the PARTITION BY Clause to separate the groups. We are selecting the required rank from that inner query. Again, If you want 3nd highest then replace 2 with 3 in where clause. Please use the comment box to share your method to get the nth highest salary.